We had to know so we tried it for ourselves. Atlantis Publisher, Eric Kennedy is ready to try and verify Is Pizza Time of St Augustine Really The 2nd Best in America? 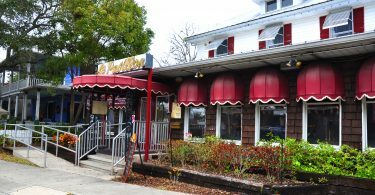 A high-traffic and wildly popular website recently named Pizza Time of St. Augustine as having the second-best pizza in the country. You may have heard about this and you’re wondering Is Pizza Time of St. Augustine Really The 2nd Best in America? The world’s largest travel site, TripAdvisor.com sifted and sorted through its registered travel and food enthusiasts reviews and used that data to determine which were the 10 best pizza houses in the United States. Is Pizza Time of St Augustine Really The 2nd Best in America. We think it was pretty darn good. But you’ll have to taste for yourself. 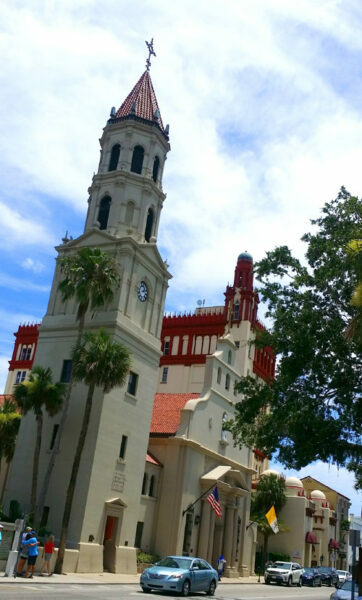 Is Pizza Time of St. Augustine Really The 2nd Best in America? As far as Trip Advisors user opinions matter, yes it is. And the second best pizza in America is… Pizza Time of St. Augustine. As white pizza goes, this slice may finally answer the question Is Pizza Time of St Augustine Really The 2nd Best in America? Inquiring pizza loving enthusiasts want to know. Is Pizza Time of St. Augustine Really The 2nd Best in America? Manager of Pizza Time, Victor Miranda, the restaurant is quoted as saying that he first found out about the number 2 ranking after a customer posted it on Pizza Time’s Facebook page. Now, the line to get in regularly measures over 50 feet long. We tried the pizza for ourselves and found it to be pretty good. Was it the 2nd best in the nation? That’s a matter of opinion and we think that you should see for yourself. So whether you live in St. Augustine or you’re are one of many millions of travelers who visit the oldest city in America, make sure that you try that line aout for yourself. The pizza is definitely worth the wait. Is Pizza Time of St. Augustine Really The 2nd Best in America? 1. Juliana’s Pizza, Brooklyn, N.Y.
8. Bill’s Pizza, Palm Springs, Calif.
9. Frank Pepe Pizzeria Napoletana, New Haven, Conn. Historic and beautiful streets of St. Augustine, Florida. Find out for yourself if Is Pizza Time of St. Augustine Really The 2nd Best in America? Eric Kennedy is a 7th generation native of Tampa, Florida and has worked in media and entertainment publishing since 1985 and he loves to write about food, travel, and technology.